The success of the 2008 - 2009 Duke basketball season will be dependent upon 50 minutes. That is 50 minutes per game as in 40 minutes per game at the Center position and 10 minutes per game at the Power Forward position. Duke is solid on the perimeter and perimeter players will pace the team with an emphasis on pressure defense, transition basketball, and 3-point shooting. If the front court can consistently contribute with points, solid interior defense, rebounding, and shot blocking, this Duke team has the potential to be special. Kyle Singler will play 30 minutes per game at Power Forward, but the other 10 minutes per game will be up for grabs. All 40 minutes of playing time at Center are available. There are five players competing for those 50 minutes: Lance Thomas (6-8, 220), Brian Zoubek (7-1, 260), Dave McClure (6-6, 200), Olek Czyz (6-7 240), and Miles Plumlee (6-10, 230). The competition for playing time should be fierce. Last season, front court players, Lance Thomas, Brian Zoubek, Taylor King, and Dave McClure combined to contribute 14.6 points, 10.6 rebounds, and 1.7 blocks in 47.6 minutes per game. Starting Power Forward Kyle Singler averaged 13.3 points, 5.8 rebounds, and .7 blocks in 28.6 minutes per game. All together, Duke's front court contributed 27.9 points, 16.4 rebounds, and 2.4 blocks in 76.2 minutes per game. In contrast, out in Lawrence, Darrell Arthur, Darnell Jackson, Sasha Kaun, and Cole Aldrich combined for 33.9 points, 19.9 rebounds, and 3.9 blocks in 75 minutes per game for national champion Kansas. Over in Chapel Hill, Tyler Hansbrough, Deon Thompson, and Alex Stepheson combined for 35.3 points, 19.5 rebounds, and 2.6 blocks in 68.9 minutes per game. This season's team must achieve more production, from those approximately 50 minutes of playing time, to complement Kyle Singler's efforts. The key to success is having consistent production across all five positions. For the last two years, Duke has at times played four on five on the offensive end of the court. For the first two years of their careers, Lance Thomas (63 games) has averaged 4.15 points and 2.9 rebounds in 16.7 minutes per game, while Brian Zoubek (57 games) has averaged 3.45 points and 2.8 rebounds in 8.9 minutes per game. Rising Senior Dave McClure's numbers are 2.4 points and 2.9 rebounds in 12.6 minutes per game over 88 games. The efforts of the aforementioned three players have been hampered by injury and sickness. Brian Zoubek has had surgery on his foot twice, Dave McClure has undergone surgery on both knees, and Lance Thomas has suffered from severe ankle sprains and a respiratory infection. If they can achieve and maintain good health, these three veterans have the potential to be much improved this season. Two new front court players will suit up for the Blue Devils this season. Miles Plumlee and Olek Czyz are arriving in Durham as the # 40 and # 92 ranked players, respectively, in the Class of 2008, according to Scout.com. Plumlee, at 6-10 230, is noted to be a skilled player on both ends of the court, while Olek Czyz, 6-7 240, is a raw talent with very good athleticism including a 40" vertical. Adjusting to Duke's defensive scheme will be the major obstacle to playing time for these two freshmen. If they can learn to play Duke Defense, they should challenge their upper class teammates for playing time. Unquestionably, they will add depth to Duke's front court. Harrison Barnes is still on scheduled to visit next weekend. This is one of two trips in which his family is taking before his junior season. That means [private] they have paid for this visit (and Kansas) out of pocket. I take that as meaning Duke is in good "early" shape for this talented young man's services. The Duke staff awaits their shot at Kenny Boynton when he is scheduled to take his visit in November. Look for Duke to turn up their efforts for Brandon Knight after the Boynton sweepstakes come to an end. Duke wants more backcourt help and it will become a priority should they miss on Boynton. It's pretty much status quo with Josh Smith. Michael Parker may be in for a game soon. The North Carolina native is being evaluated, but there is no room with the offers currently at hand. Duke is also keeping an eye on Morris and will evaluate more players as time goes on. Current commitments Josh Hairston and Tyler Thornton will attend the Blue-White game. They will be joined by Mason Plumlee and he may be joined by younger brother, Marshall. Ryan Kelly will be taking his official visit this weekend as well. Kelly joins Mason Plumlee in the 2009 class and Boynton is the only other offer. While another prospect could come to light if they miss Boynton, at this time it is unlikely. The Football team will take the Blue Devil Walk through Cameron Indoor Stadium during the Men's Blue-White game. Coaches Colllins and Wojo will lead thier inter-squad teams. What was it about Duke you liked? Duke academically and sports wise for basketball can't be beat. The two of them together ... I felt very comfortable when I was at Duke with all the players which made it easier and I went with my gut feeling. [private] Really, I haven't visited Duke that much. I wanted to make the visits as equal as possible. Going into this past weekend when I sat down and put it all out, all of the schools were even. My parents and Coach Billerman told me to take my time and to let them know when I was ready to make a decision. When did Duke get back involved with you? It got a little sporadic. 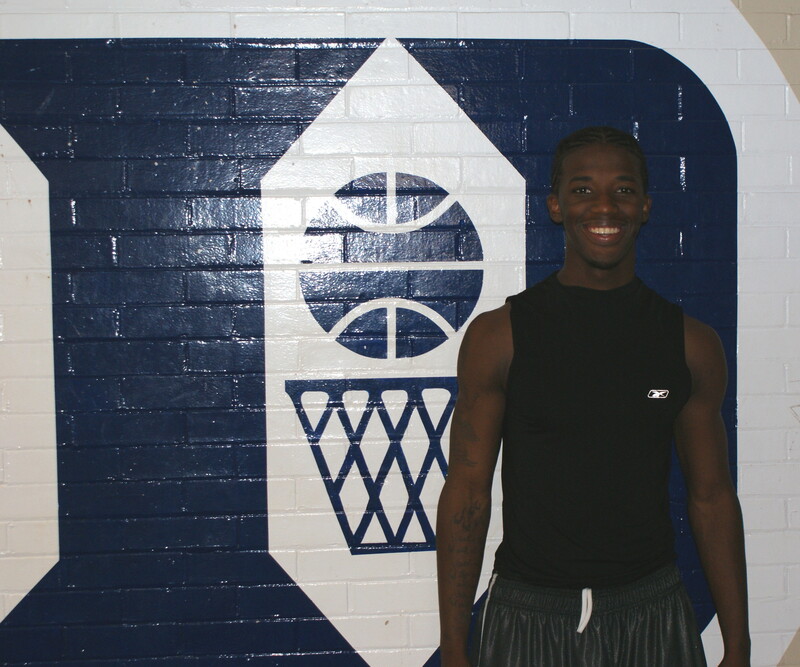 Coach K was there to see my 1000th point at Durham Academy and then they came on pretty heavy this summer. Especially with me being involved with Team USA in Vegas. 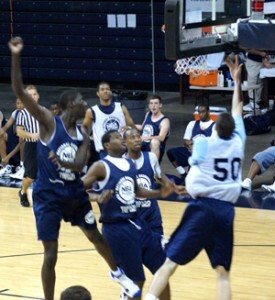 You have gone up against a future teammate several time in Mason Plumlee. Are you looking forward to the match up this season? Well he's a great player and it's going to be really fun playing with him. We are different players and we do different things. It will be neat going up against each other. Hopefully, we will see each other in the state championships and then at Duke. It'll be something we can look back on. I had a great time with him in Argentina - he's a really great guy. When did you actually make the call to Coach K telling him you wanted to be a Blue Devil? It was Wednesday night. He was excited for me and glad I made the decision. He said he thought I made the best decision. I told him I was certain and had no remorse and he was really proud I felt that way - feeling very comfortable with it, he was happy and looking forward to being my coach. Coach K had basically told me to hold off and not make any decisions before he left for China, just so he could have the chance to sit down with me. I was going to wait anyway. It wasn't time to make a decision for me and once he came back we had a chance to sit down. Has Coach already talked you about what he would like for you to work on? Oh certainly. The main thing is strength and just getting stronger. He doesn't want me to build up too much. He doesn't want me to be 250 pounds, just to be lean and strong. Hips are very important when it comes to talking defense - staying in a defensive stance, exploding, rebounding, exploding up for dunks. Did your family help with the decison making process? It was my decision. I'm sure if he hadn't sold my parents it would have been different, but they're happy. Now that you are part of the Duke family, will you hang on campus, play in the practice facility, etc.? Oh yeah. I'm sure I will go over there to play in an open gym - to talk to the guys and get more comfortable. Have you heard from any players since last night? Elliot called to congratulate me ... Gerald Henderson. I'm sure I will hear from more of them. I know you have played with Kenny Boynton and he's at the top of Duke's list. What are your thoughts on him? I would love to play with him. He's a great kid and a great player. We played twice out in Vegas and we split. I would love to play with him and see him come on out to Duke? How did the games pick up games go? They were really intense ... just more intense than anyone else to be honest. They wanted to win more than anything and I saw that. When guys are trying that hard in a pick up game you are going to get better quicker than anywhere else. I can see myself becoming the best player I can be over there. Do you have a go to move? Is there a sense of relief? You know, it's relief, but it is also excitement. I have laid a pretty good path out for myself and it's exciting. So, your family is okay with the decision? What three words would best describe Ryan Kelly as a person? Nouns or adjectives, here? (laughing) What I said to ESPN, was my integrity, my drive to excel and my faith. I bring those to the table and they won't go away. Tell me a little about what faith means to you? For me it's a belief in God. He's going to put me in the right place. When I come into the gym or into a game, I pick out two seats. One for where Jesus is watching me and one for where my Grandpa is watching me. No matter how good or how bad I will do they will always be there. I prayed for it was the most important decision I have made in my life so far. The next is my wife ... (laughing). It was important for me to pray and people prayed with me about my decision and I was led to the right place. Did this translate at Duke? Um, I know there will be some different beliefs or religions. But moral character is important as well and Coach K certainly had that. Why make the decision on ESPNU? It just kind of worked out. Amazingly it was good timing. They had wanted to get the notice for it was their first show. What three words or phrases describe you on the basketball court? Hard working, a good teammate and I hope I can say a good player. They had been talking to me for a long time. There was a renewed interest. They saw I had developed quite a bit and my ability to play the 4-3 spot like Mike Dunleavy. When they got to see me in an open gym, Coach K just saw a different player and it moved from there. What are your team's prospects for the coming season? I am looking forward to this season. We're going to be really good. We have Matt Wilson, a 6-11 center who just committed to UNC-W. We have some more guys including Billerman's son, a shooter. We also have a Broughton transfer Luke Davis who will play the point and anchor us a little bit. We are trying to win a state championship. Describe Coach K for me? For me I'm still getting to know him. I think he is very truthful and honest and very Father like. He runs around and does a lot of stuff, but he still takes the time to show you everything. I've dealt with some really great coaches, but he's the best coach. It was hard to tell the other coaches but they all handled it really well. Once the decision was made, it was a real relief. Did getting to know the Duke players play a big role? It was very big, but I thought it was going to be a lot bigger. I learned a lot about myself in that I can get along with a lot of different people. When you go on visits, they all act like they like you. In the end it comes down to getting that feeling of being comfortable and I felt that with Duke. You were able to attend some classes. Were you comfortable in that environment? [private]Ryan Kelly has decided that he wants to play his college basketball for Coach Mike Krzyzewski and the Duke Blue Devils. Kelly is a 6-9, 210 forward who plays his high school basketball for Raleigh Ravenscroft, under former Duke player, Kevin Billerman. Kelly took his time with the process, making visits with all of the teams on his final list while analyzing his ability to fit in and be comfortable. Kelly chose Duke over Georgetown, rival North Carolina, Notre Dame, Virginia and Wake Forest. "From the beginning, my family made it clear to me that this was going to be my decision. To that end, after gathering a great deal of information, thinking through things clearly, I am ready to announce with confidence that I will look forward to attending Duke University," said Kelly. Kelly went to the ESPNU Studios in Charlotte, North Carolina today to announce his decision on the Recruiting Insider. “Although I have enjoyed meeting so many terrific coaches and players at each of the schools I have considered, I am ready to move forward and focus all my efforts on finishing out my senior year at Ravenscroft,” said Kelly. 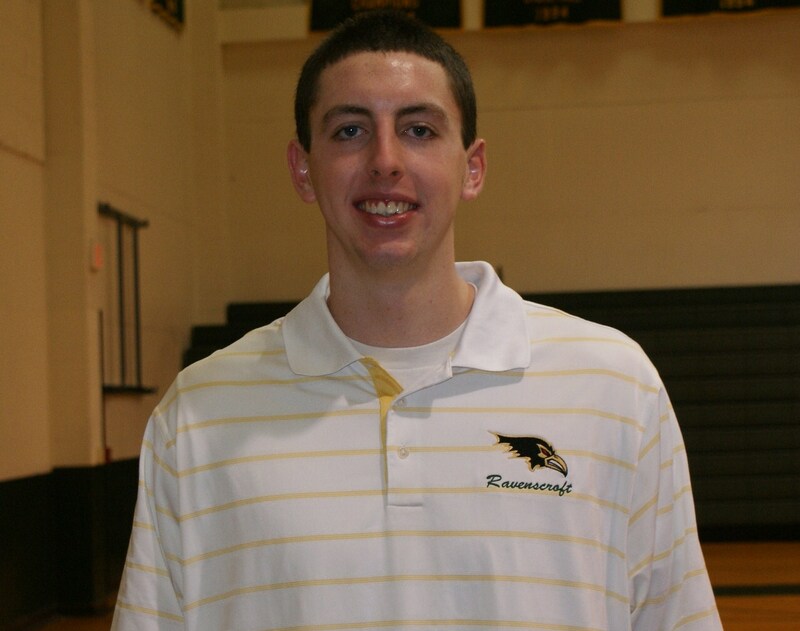 During his junior campaign at Ravenscroft, Kelly averaged 23.4 PPG and 8.7 RPG to go with 4.0 blocks. He played for Team USA U-18 team which won the silver medal this past summer and he started most of the games. Kelly also played his AAU basketball for D-One Sports where he was teammates with one of the nations top uncommitted prospects, John Wall. Kelly was also invited to the NBA Top 100 Camp last July. Kelly fits the mold of past Duke big men like Danny Ferry in that he has the ability to go inside and out. The Blue Devil Nation saw several of Kelly's games over the past two summers and he consistently improved his game during that time. Kelly is the 12th rated player in his class according to ESPN Scouts Inc. 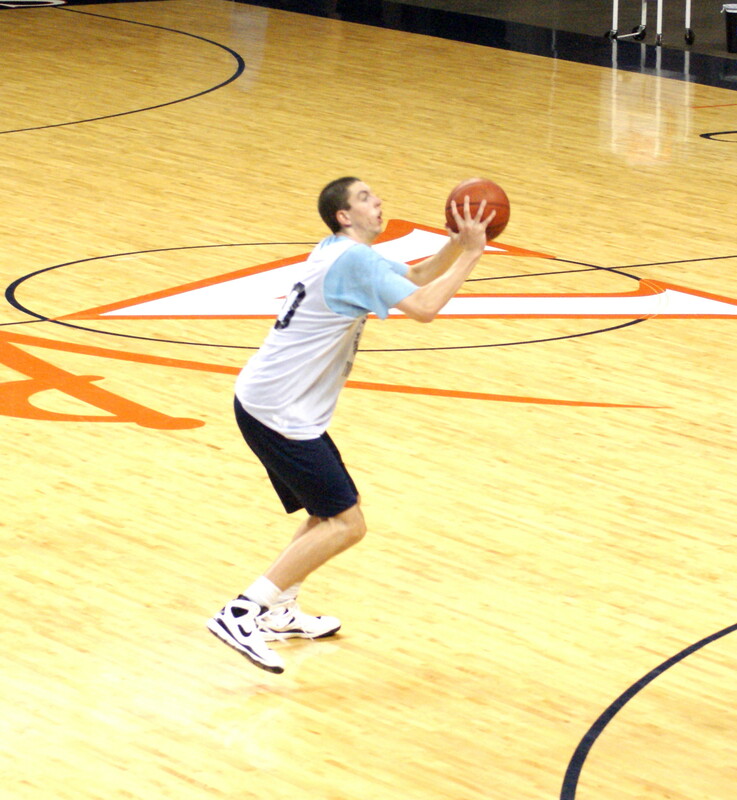 The strength of his game is his face up offense, where he is a very capable perimeter shooter. His ability to draw his man out will likely loosen traffic in the paint in college. Kelly has a cool demeanor on the court, never getting too high or low during contests. He has a drop back fade in close making it difficult for opponents to defend him. Kelly is also a very good ball handler for a big man and if described on one word, "versatile" would fit. Kelly will have to work on his strength and his ability to be a force in the paint, but that should come with natural maturity. Kelly joins Mason Plumlee as the second player in the Blue Devils class of 2009. You can look forward to the match ups between their opposing schools Ravenscroft and Christ School of Arden the defending state champions. Kelly has some basketball lineage in the family, where his Dad, Chris played his career at Yale. His family is big on education as well. In fact, Kellys Mom, Doreen is the head of his high school. Kelly is slated to attend next weekends Blue-White game where other Duke commitments will join him. Coach Krzyzewski continues to reap the benefits of leading Team USA to the Gold Medal in Beijeng, China. Duke will now focus on Kenny Boynton, a scoring machine from South Florida. To read more about Ryan's commitment and Duke recruiting efforts, subscribe to BDN Premium. You can then discuss this great news with other members in a private forum. There is also an amazing thread at Duke Basketball Report with 28,000 plus hits and counting. All photos are property of BDN Premium. 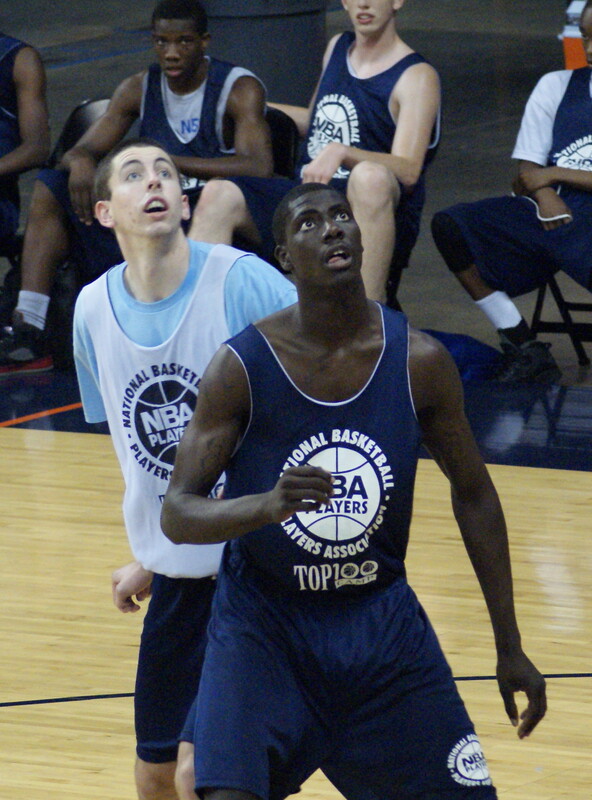 They were taken at the NBAPA Top 100 Camp this past Summer. In the first picture, Ryan was originally on the baseline, but made a move and used the rim to his advantage as three defenders looked on. [private]Ryan Kelly is set to announce where he will attend college in a 6:00 Press Conference on Thursday. Kelly has been methodical in seeking out the best situation for himself. Some services have Kelly ranked as high as tenth in the class of 2009. Kelly has advanced offensive skills when facing the basket and has steadily improved his stock over the past two years. The list for Kelly's services consist of Duke, Georgetown, North Carolina, Notre Dame, Vanderbilt and Wake Forest. Kelly is coached by former Duke player Kevin Billerman at Raleigh Ravenscroft. Kelly has visited all of the schools on his list with North Carolina being the last one this past weekend. [private] The Boynton family have set their official visit date to Duke University. Kenny and company will be in town on November the 7th through the 9th. Boynton has been recruited heavily by the Blue Devils. His list consists of Duke, Florida, Georgia Tech, Texas and USC but many feel it is between the Blue Devils and Gators. Boynton is a 6-2 combo guard expected to play the point in the pros. He plays his high school ball for Americn Heritage and his AAU ball for Team Breakdown. Boynton plays hard at both ends of the court. He's especially strong with the ball in his hands. There will be several old articles up soon, once we add the archives from the old site.